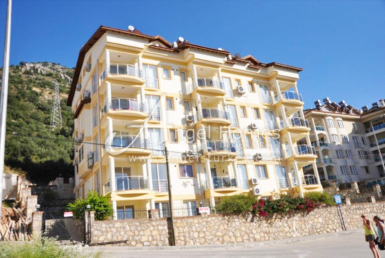 This 3 bedroom duplex apartment is situated in a great location approx 5 minutes walk to the popular holiday destination that is Hisaronu. Hisaronu is a tourists delight with many shops, cafes and bars to keep you busy. Alternatively Ovacik where the apartment is situated still has all the amenities you could wish for but is a little more sedate in its style. If it is excitement you are looking for then Oludeniz is the place to go, which is 10 minutes by road, and the home of one of the most photographed beaches in Europe, the Blue Lagoon. Also famous for its World class sport of paragliding. Soon to be completed in 2019 will be a state of the art cable car which will transport you to the top of Babadag Mountain (1969m abvoe sea level) where you can simply enjoy the views, have lunch, or take the opportunity to take a tandem flight back down to the beach in Oludeniz. 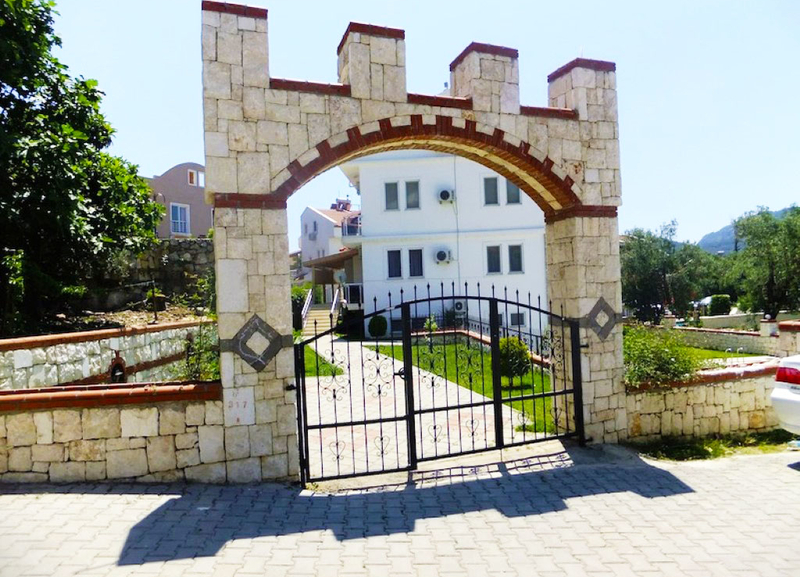 The nearest town is Fethiye, which is approx 15 minutes away by car and has everything a modern town needs. Fethiye is open all year round and has a cosmopolitan feel with its boutique shops and European vibe. One of the main attractions in Fethiye is the Harbour, where you can take advantage of the cool breeze or for maximum effect take one of the many daily boat trips that leave daily through the summer months. 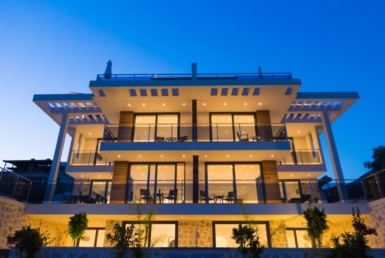 Dalaman Airport is just 50 minutes away and Istanbul is only 1 hour away by air, making this apartment easily accessible all year round. 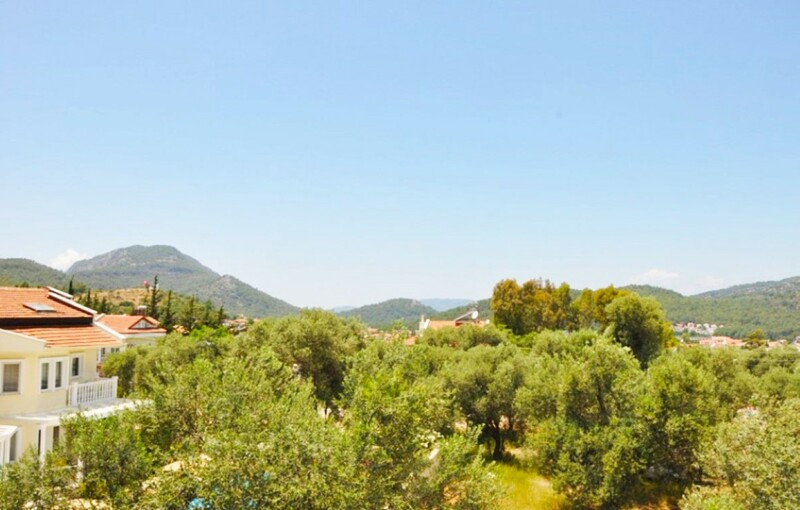 This duplex apartment has the proportions of a small villa, the rooms are very large and spacious. There are only 4 other apartments on the complex which share a pool and gardens. 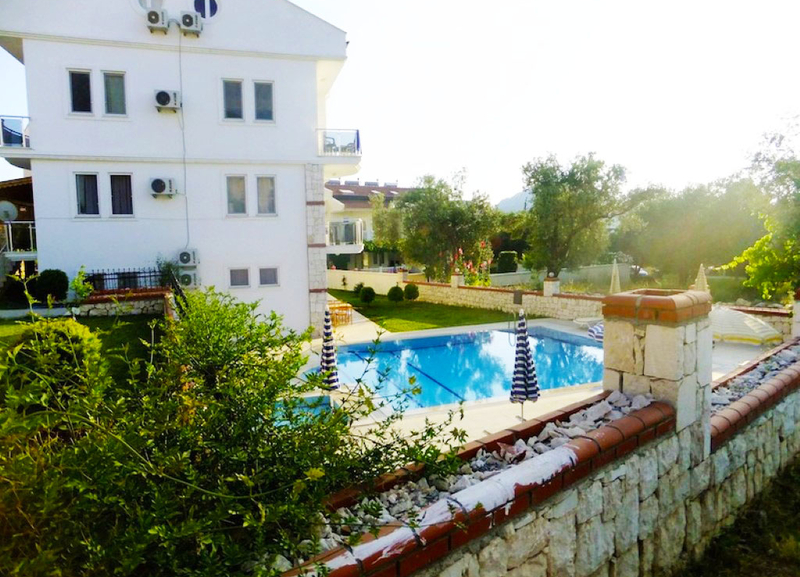 There is ample space for sunbathing, and also a smaller pool especially for the children. The open plan living area is on the second floor and has recently had a completely new kitchen, including new appliances and lighting. From this room there is a good sized balcony, big enough for a table and chairs, so that you can relax looking at the mountain views or dine alfresco. There is also a double bedroom on the same floor with a shower room. The remaining 2 double rooms are situated on the Attic floor and a large family bathroom with Jacuzzi bath and a shower. From here you can access the very private large roof terrace. All of the bedrooms have built in wardrobes and ample storage.